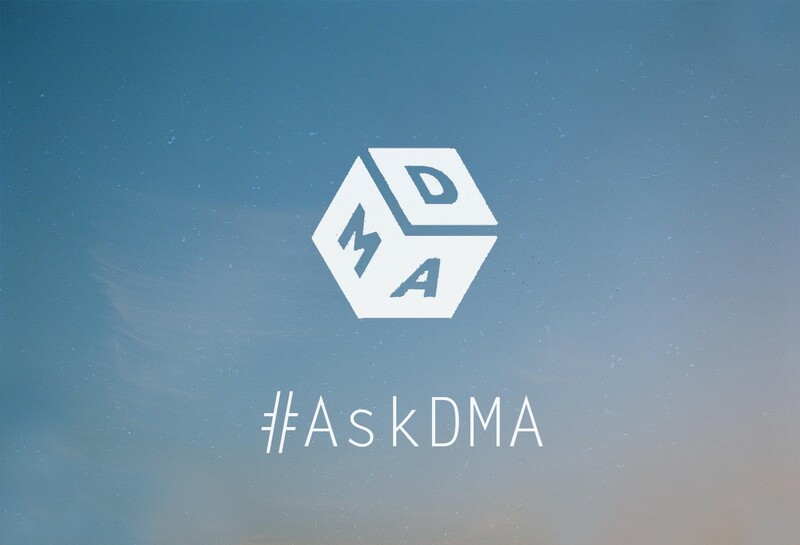 In order to maintain an active, open and transparent dialogue between the DMA team and the community, we’ve decided to start an ‘Ask DMA’ series. This is where we collect questions from the community, then create a post addressing any issues, concerns or queries you may have. Do you have more dApps in development? Is it true you’re working in China on a metro app, along with a shopping app on top of DMA? Yes, we do. Actually, the whole purpose of building DMA is to enable the dApps we plan to build, and open up to the developer community who also want to build dApps. Over the last few years, we have built several centralised mobile apps that are currently in operation. One of the apps is ‘Metro’. The Metro app provides mapping, searching, routing, news, social elements, games, coupons, and shopping services to the end users. It covers all cities that have metro lines in China. We have a wallet embedded into the Metro app which stores the ‘points’ that users earn through riding the metro and shopping within the app/surrounding merchants. It also rewards people for watching ads in the app/metro stations. The points are in crypto format. The Metro app currently has around 500,000 users. This is just the starting point. According to the statistics, the average daily number of people who take the metro in China is around 80M. The number of metro city and metro lines are growing rapidly. We have plans to cover all major metro cities in the world very soon. With DMA soon in place, and utilising two major aspects, we plan to migrate the Metro app onto the DMA platform. The first aspect is the user authentication by using Elastos DID. The second is the opening of the decentralised merchant and marketplace in Metro. Both will be using key DMA functions. Of course, the shopping app can also be separately upgraded into a dApp and we have plans to do this. There will be more info on this in the following months. We will develop and enhance the Uptick dApp until it’s commercially ready for all regional markets. This is a natural fit for a dApp on top of Elastos DMA. We encourage deep involvement from all community members, and we hope to soon have many Uptick partners in all regions. There will also be some dApps derived from DMA 1.0 and Uptick, becoming practical dApps in other verticals. For example, we already have a ‘Meetup’ dApp, created last November when we demoed the first milestone of DMA. We will make it a ready to use event meetup dApp in Q1. We do have plans to make more dApps. We will share with the dev community when the time is right. In the meantime, we encourage people to join our ‘Early Access Program’ - this is not just about testing the code, it also includes concentrated discussion on practical dApps in the pipeline. We want to support the most promising projects in the space. How do you plan to onboard dev talent to the DMA platform? We want people to join the platform with real and practical dApp ideas. This includes thought out plans, and resources. Uptick (and other dApps we are building) will be a good proof of concept for DMA, because our team wants to make a living off these dApps. It’s not just for fun, and we want to let the world know this. With that, I believe we can attract serious developers to build suitable dApps on DMA. We will provide strong technical support to all developers. The second part is the economic model for the DMA platform and the dApps on top of it. The model will be fine-tuned in Q1 and be open to the public, along with the stable release of the DMA platform. We also have a plan for a dApp competition where we want some of the best dev talent in the space to apply and start building on DMA. The goal is to have people build dApps that benefit from the DMA platform, but also support the sustainability of the DMA platform. By achieving these steps in Q1, I believe we can attract good dev talent to DMA. Do you think there should be a stable coin for DMA? Yes. A stable coin is definitely needed. This is very important in order to bring users into the crypto economy, especially for merchants. There are many ways to design the stable coin. We are actually working on the modelling now, and this will be a big, separate topic open for discussion with the community. We welcome input from everyone. Is DMA funded by the Elastos Foundation or its own private fund? Mixed. DMA was indeed funded by the Elastos foundation. Due to the market conditions most people are aware of, and in order to deliver the project on time as scheduled, we have put additional capital into the project with our own funds. This is our commitment to the Elastos foundation and the community. Which country’s market will Uptick start with? Since you guys are in China, I’m assuming China market? And which segment? Concerts, movies, tours, parties? etc. Our team will start from China because we already have lots of resources situated there. We will start with concerts, theatre productions, and events sectors. From there, we will expand into lots of other areas. We especially want to implement scarcity in tickets first, as this is a great proof of concept for the DMA platform. Uptick is global, and we will soon implement multiple language support. This is so anyone with regional business development capabilities can work on it in parallel with us. We really encourage community members to explore local business opportunities for Uptick. You will become the ‘local agent’ of Uptick, and will directly benefit from the Uptick business operations in your region. Is it possible to build a dApp on top of DMA that serves the sole purpose of paying for the shared means of transportation, as well as public transportation services? Would it have the same conversion of Fiat > ELA > DMA? Taking into consideration ELA > DMA will be invisible to the end user. Yes, it’s possible. In fact, we plan to build it immediately once local business opportunities are located. There is a wallet service in DMA which dApps can utilise straight away. In terms of the payment aspect, there will be many options for dApps to choose from in our DMA payment service (currently under development). This will of course depend on the local regulation and legal compliance. As stated earlier, the economic model is the big topic for Q1. The payment options will be part of this. How do you plan on growing the user bases of the dApps you’re creating? We will start with scarce digital assets, ones with loyal user bases. We will include features such as referrals, social media sharing, and campaigns with merchants. There is no magic in any type of internet operation. If the method is good for targeting internet users, we will definitely utilise it. In the current bear market, to most people this looks pretty bad. However, it’s a very encouraging opportunity for us. If we can launch dApps with practical business use in everyone’s daily life, the users will come, and the cowboys will be gone. Making way for the real dApps with true business value. Do you hope that traditional ticket sellers will be using Uptick in the future, or are you aiming for event holders to sell their tickets directly through Uptick? Both. With Uptick, we have only two roles: Seller and buyer. It doesn’t matter if the seller is a traditional ticket seller, or the event holder. The only thing that matters is if they use DMA’s tokenized tickets, and agree to all of the rules defined in the underlying smart contracts. Will the DMA token be listed on exchanges? No. The scope of Elastos DMA is to build a sub-economy focusing on decentralised marketing and the commerce domain. It’s part of Elastos’ economy. However, in the future, if Elastos has its own exchange for all of the sub-economies, Elastos DMA will certainly participate in such an exchange. How easy is the process of buying tickets with the DMA token inside the app? Just like the purchase flow in any normal app. We invite you to download and try out the newly updated Uptick dApp, which will be available in late Q1. As crypto can fluctuate dramatically in price, and seeing that you can exchange ETH>ELA>DMA, how are you going to overcome this? A ticket bought through Uptick may cost a certain amount in the morning, but in the afternoon, and as the market moves it could double in price. As we mentioned above, we need a stable coin mechanism inside DMA. We are also in the process of evaluating and integrating DEX capabilities into DMA. This includes adding fiat > token functions (if it is legally allowed in that region.) The ultimate goal is to have our users be able to buy assets (such as tickets) by paying directly with fiat. All the conversion steps in between will be invisible to users. If multiple large projects start building on DMA in the future, will the Ethereum sidechain be enough to scale in TPS? For example, if a ticket on Uptick is exchanged, each exchange is recorded on the sidechain, correct? For example, we can have an Uptick sidechain for the whole ticketing and related industry, powered by DMA. Of course, the interoperability of value exchange should be considered between sidechains. What are the fee structures of Uptick like, compared to when a business uses someone like Ticketmaster? How much of a competitive edge will you have in terms of saving the ticket merchant money? The fee structure is simple. The platform takes a small cut from sellers. This covers all fees required to maintain and keep the DMA services alive. From the fees the DMA platform collects, DMA will then split this with other infrastructure services it uses (such as Carrier, Hive, etc.) Just like paying utility fees to supporting layers. All parties will benefit from such decentralised commerce. All splits are handled by smart contracts in real time. The cut will be less than 1%, as long as the fees collected are enough to keep these platform services running. There will be a mechanism, giving the community the ability to vote for the DMA economy fee scheme. In the traditional market, it’s normal that the middleman platform takes 5–20% of revenue, which leaves the first hand sellers unprofitable and causes the individual re-sellers to lose money. Uptick will help buyers spend less and the sellers make more. All by minimising the middlemen services. Let’s ask the question of why do you want to sell tickets in the Ticketmaster platform and give them a big cut? Because you are either not famous yet, or you are unable to own your traffic (your fan club), or both. Why do you want to trade tickets in Stubhub, instead of Craigslist or the general eBay market? Because people don’t trust the strangers, traditional printed tickets, or even normal e-tickets, so they need a middleman platform and subsequently give the middleman a big cut. So, let’s think about the ideal jumpstart scenario: Two famous artists want to hold a concert, do they care which ticket platform they sell the tickets on? They probably don’t. Whenever they announce the event, and the place to get the tickets, people (fans) will come in droves, with high enthusiasm and desire for those tickets. So, if we convince them (or their agency) to build their own dApp related to tickets, social events etc. and even have their own token, it will be a dApp with the quality traffic. Of course, during the transformational period, we still work with necessary middle-service providers and fairly distribute profits with all parties. In the long run, that’s the elimination process of the traditional middleman business model. In the near future, we need business development for quality events, with quality self-driving traffic. No matter if it is a celebrity, or a conference with scarcity. Let’s start from several dots with quality, then we will be able to connect those dots and realise this decentralised commerce paradise. We believe Elastos is the fundamental infrastructure and ‘utility provider’ to power this vision.